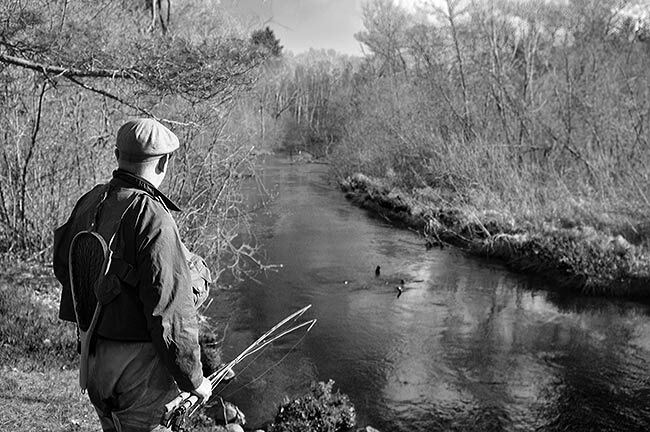 Smart-water advocate Alistair Stewart scopes the water of a stream he’s intent on saving. All bodies of water get their magic from different places. A lake comes wrapped in a kind of finitude. It is a knowable thing, and wants to be known, by foot or swim or paddle. Rivers and oceans, by contrast, have an element of the infinite about them: rivers from their constancy, their seeming sourcelessness (following a stream to its origins is, I have found, very much like trying to follow an idea to its source: instead of winnowing to a single point they branch and fluoresce into a thousand sponging rivulets), oceans by their expansiveness and endlessness. In terms of how our imaginations relate to them they are also different. The ocean itself is a canvas on which stories—huge, sprawling, massive stories—can be told. The river, by contrast, is itself a story teller. But what inspires this story? Where is the source of a river’s narrative? Today I am writing about groundwater, about aquifers, and for a reason I’d just as soon not: the future of my homewaters is at risk. 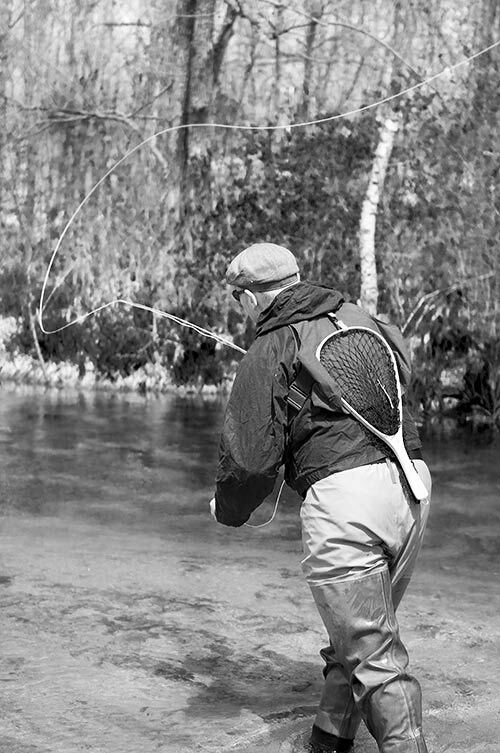 The Little Plover River of Central Wisconsin, a small trout stream feeding the Wisconsin River near the town of Stevens Point (once the fly tying capital of the world), currently ranks number four on American Rivers’ 2013 list of most endangered waters list—the Colorado ranks first. Both are imperiled due to outdated water management practices. The Little Plover, however, stretches just six miles from head to toe. This diminutive stream flows through a region commonly referred to as the Central Sands, originally made famous by Aldo Leopold’s Sand County Almanac. I had the privilege of learning to fly fish for trout here—though learning to catch them happened elsewhere. It’s a difficult, sometimes impossible area to fish—with its flat water clear as paint thinner, its sandy swirling bottoms, its narrow, tree-choked banks. As a friend of mine, now a guide who grew up in this region often says, it’s like fishing New Zealand but twice as frustrating. Move to specify that a person may not challenge an application for, or a permit for, a high capacity well based on the lack of consideration of the cumulative environmental impacts of the proposed high capacity well together with existing wells when approving the high capacity well permit. This provision would apply to applications for high capacity well permits and high capacity well permits in effect before, on, or after, the effective date of the bill, and for applications and permits for which final administrative or judicial review has not been completed on the effective date of the bill. It is, to be sure, frightening legislation. Frightening because of what it so obviously acknowledges by its very language (that very real groundwater imperilment exists); frightening because of its pre-emptive and paternalistic silencing of dissent; frightening because it can happen elsewhere, anywhere. I was recently given the gift of a tour of a part of this region by Alistair Stewart, a Chicagoan who is tirelessly leading the charge to modernize water management practices in Wisconsin. If there’s a testament to flowing water’s ability to speak to all and any of us, evidence for it’s polyglot skills, it’s this: Alistair is originally from the UK. He speaks with an accent and wields well-pedigreed cane. But he is as passionate as anyone about these tiny streams wending past industrial irrigation systems and ever-growing dairy operations. After spending time on a few different rivers I found myself wondering how notions of scale affect our conservation landscape. The Central Sands has no fly shop. No bumper stickers. No t-shirts. As such I’ve come to think of it as a symbol for all the smaller conservation efforts that don’t make national headlines but are nonetheless important, perhaps even essential. Because conservation battles fought near population centers have the ability to educate a great number of people about their ecological landscape, and this increased environmental literacy in conservation issues benefits—even enables—our bigger efforts as well. This is an invitation to take some time out from your day and to learn about where your waters comes from. The water you drink. The water you fish after work. 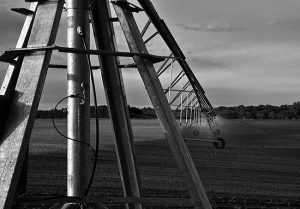 Like the invisible gobbets of oxygen in the air we breath, groundwater is one of those invisible things that sustains our way of life. And while it’s true that there are hugely important, essential battles being fought on distant fronts, there is also so much water so close to home. Helping those in your community learn to love and identify with their own water is an important step in strengthening the national movement for clean and abundant water everywhere. 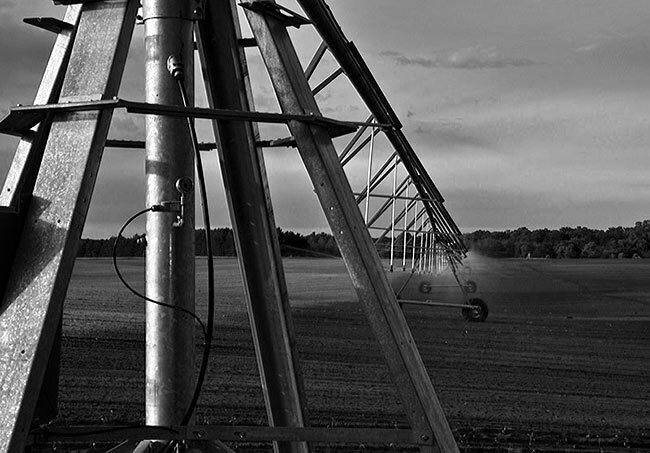 As our country heads into an era of unprecedented groundwater exploitation, we’ll need all hands on deck.